Adriaan de Groot is working on bringing KDE Plasma 5 to FreeBSD ports real soon, as reported by his latest blog entry. I’ve switched to using Plasma 5 as my daily (work) desktop. 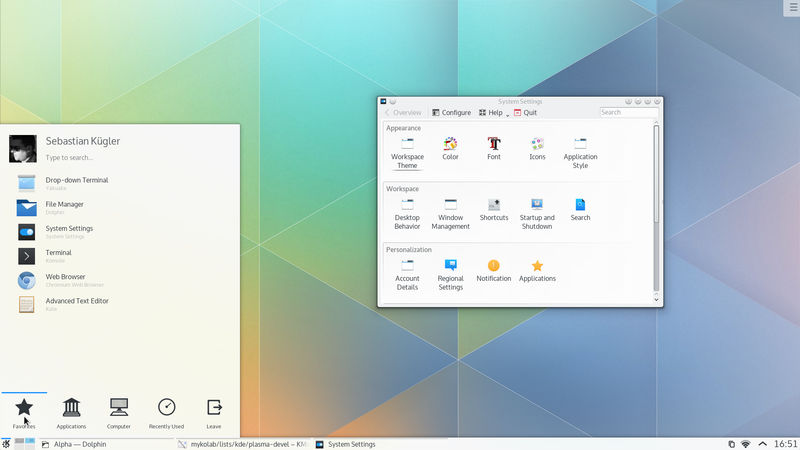 “So what?” you say, since Plasma 5 has been available since July 15th, 2014. Yep, more than three years on the desktop — see Sebas’s blog for some history. So I’ve finally switched my FreeBSD desktop machine, as a sign that Plasma 5 really is coming closer to the official FreeBSD ports tree. KDE contributor Adriaan de Groot who has been leading the charge for getting the KDE packages working well on FreeBSD has mentioned he’s now finally switched his FreeBSD desktop machine to Plasma 5. This marks it being close to getting Plasma 5 added to the FreeBSD ports tree to make it easy for those wanting to run Plasma 5 on the FreeBSD desktop.